July 20, 2015 (Vancouver, BC) – grunt gallery, Ethnographic Terminalia and the 21st International Symposium on Electronic Arts (ISEA) are excited to present anexhibition, panel, workshop and a performance for ARCTICNOISE. The exhibition is located at grunt gallery and runs from August 5 to August 22, 2015 with an reception on Monday, August 17 (7–10pm). ARCTICNOISE is a media installation by Geronimo Inutiq (madeskimo) that draws on archival film footage and sound materials sourced from the Isuma Archive at the National Gallery of Canada, as well as sound and film materials from the artist’s personal collection and other ethnographical material. Conceived as an Indigenous response to Glenn Gould’s celebrated composition “The Idea of the North”, Inutiq will appropriate Gould’s piece as a musical score, paired with new voices and imagery to produce a layered and multi-vocal work. 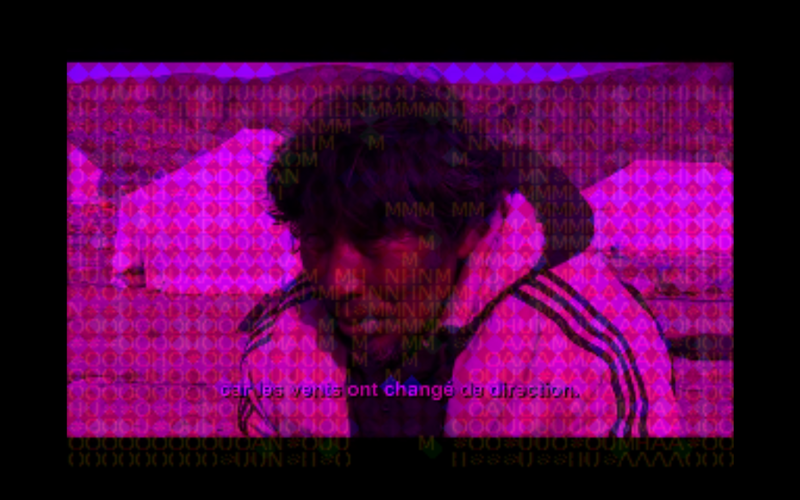 The project folds into Inutiq’s larger practice of his alter-ego, madeskimo, that draws on the use of instruments, and digital and analogue synthesizers, as well as the remixing and processing of samples from a large variety of sources— including traditional Inuit, Aboriginal, modern electronic and urban music—in order to create an experimental platform. At its crux, ARCTICNOISE intends to initiate conversations between various communities, Indigenous and non-Indigenous, and to provoke thoughtful exchange about the roles of Inuit orality and materiality in a post-colonial space within the context of new media artwork. New media, with its appropriative and collage-like nature, is employed as a specific strategy to foster a multi-vocal and multi-generational approach to these sensitive issues. A curatorial essay written by Yasmin Nurming-Por and Britt Gallpen will be available at the exhibition. This essay will also be included in the forthcoming publication forARCTICNOISE. Yasmin Nurming-Por and Britt Gallpen, with grunt gallery’s Curatorial Resident Tarah Hogue, are collaborating with the collective Ethnographic Terminalia to produce a workshop at the International Symposium of Electronic Arts (ISEA), which will be hosted by VIVO on Saturday, August 15th from 9:30 am to 5:30 pm, open to the public for viewing. Following the 2015 ISEA theme of Disruption as it relates to the archive and its expression in new media, “Terminus: Archives, Ephemera, and Electronic Art,” will include presentations of electronic art works and theoretical frameworks that disrupt material, figurative, discursive, cultural, and political manifestations of the archive, broadly conceived. The workshop will result in a DIY publication of the proceedings that will be made available to the public in limited edition print and online formats. Arrive by 8pm to watch a performance by Geronimo Inutiq (madeskimo) – the artist behind ARCTICNOISE. Vancouver Art Gallery’s FUSE is a wildly popular event where art, music and performance collide. On August 15, 2015 FUSE will be the site of DISTURBANCE, guest curated by Kate Armstrong and Malcolm Levy in connection with the 21st International Symposium on Electronic Art (ISEA 2015), one of the world’s most prestigious global festivals presenting work at the intersection of art and technology. This event will include an artist talk by Geronimo Inutiq, a discussion of the curatorial process by Britt Gallpen and Yasmin Nurming-Por, and a presentation by Christine Lalonde, Associate Curator, Indigenous Art, National Gallery of Canada. These will be followed by responses from two local respondents (TBC). ARCTICNOISE is co-presented by ISEA and grunt gallery. We gratefully acknowledge funding from the Canada Council for the Arts, the McLean Foundation, and the Social Sciences and Humanities Research Council. A very special thank you to VIVO Media Arts Centre and the Native Education College for hosting the panel and workshop forARCTICNOISE. Almost five months after it was due to be demolished, an artists’ cabin perched on the edge of Cates Park on Vancouver’s North Shore was instead being prepared for a move on Monday – a hard-won victory for the group of artists who fought to save it. Now they have a new challenge: finding a permanent home for the historic structure.The cabin has been used by Vancouver artists Al Neil and Carole Itter for decades, but after a land sale to Polygon Homes – which is developing the property – the cabin became endangered. 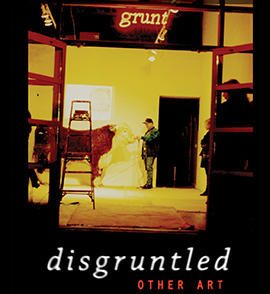 An eviction notice was issued with a deadline of Jan. 31.
grunt gallery wishes you a happy Aboriginal Day! grunt has a rich history of working with indigenous artists, check out some of these project sites that archive text, images, video and more. A website that grunt gallery curated for Activating the Archives, it chronicles a performance art conference that took place in Vancouver in 2002. In December 2008, artist Cheryl L’Hirondelle made daily journeys throughout Vancouver and “sung” the landscape she encountered. These encounters were captured by mobile phone by the artist and whatever other technologies are made available by participating viewers/audience (video, photo, audio). Check out this interactive website that includes sound bites from L’Hirondelle’s recordings. The little exhibition that could. 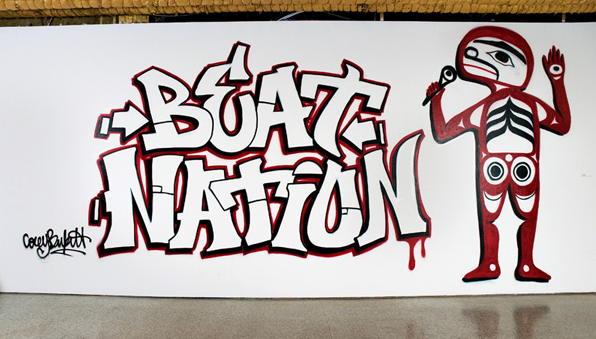 Some might not realize the humble beginnings of Beat Nation and how it began as a youth project website between grunt gallery and Native Youth Artist Collective. Check out the website that was originally created in 2009, the amount of emerging artists who have since built tremendous careers is inspiring. Check out all of grunt’s project websites here. Click here to read more about Tarah Hogue’s Curated Reading List. Visit ArcPost to view all of the Curated Reading Lists. PAARC has collaborated with the grunt gallery, the Or Gallery, VIVO Media Arts Centre, Open Space and Alternator Centre for Contemporary Art to commission curatorial research drawing from the print material indexed in the Repertoire of BC ARCs’ Publications. Lorna Brown, Lucas Glenn, Tarah Hogue, Robin Simpson, and Benjamin Willems were commissioned to produce thematic curated readings lists and accompanying essays highlighting particular moments and orientations specific to BC’s artist-run histories. Through the publication of these reading lists, we hope to stimulate renewed interest in the practices and histories of BC ARCs from the particular perspective of their publishing activities. 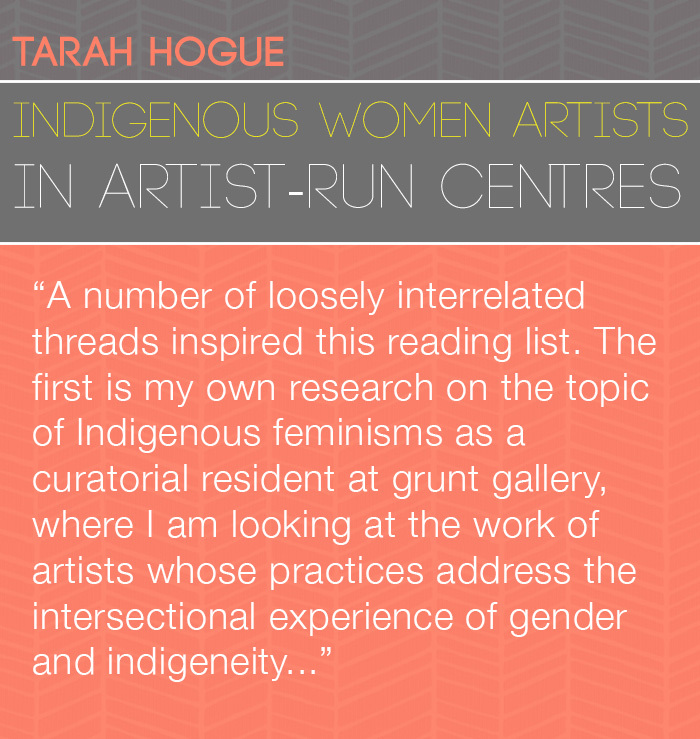 Tarah Hogue, curatorial resident at grunt gallery, has developed a reading list entitled, Indigenous Women Artists in Artist-Run Centres. Read her essay and list here. This Saturday June 6 at 5pm, attend the launch of the Curated Reading Lists from the Repertoire of BC ARCs’ Publications project at VIVO Media Arts Centre. 6 PM: PAARC social with refreshments and snacks! The Pacific Association of Artist Run Centres will launch the Curated Reading Lists from the Repertoire of BC ARCs’ Publications project, realized in collaboration with the grunt gallery, the Or Gallery, VIVO Media Arts Centre, Open Space and Alternator Centre for Contemporary Art. Lorna Brown (commissioned by the Or Gallery), Lucas Glenn (commissioned by Alternator Centre for Contemporary Art), Tarah Hogue (commissioned by the grunt gallery), Robin Simpson (commissioned by VIVO Media Arts Centre), and Benjamin Willems (commissioned by the Open Space). These curators have been commissioned by partner organizations to produce thematic curated readings lists and accompanying essays highlighting particular moments and orientations specific to BC’s artist-run histories. 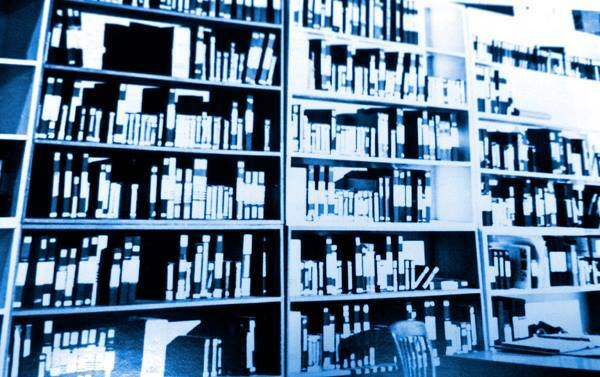 Curated Reading Lists can be found on ArcPost. grunt gallery is excited to participate in ROVE, this Friday May 22. Please visit their website for all the details! Visit grunt gallery on Saturday May 9 from 1–4pm for a roundtable on housing and photography in Vancouver. This talk occurs in relation to Henri Robideau’s Eraser Street, currently showing at grunt gallery. Eraser Street – Hubris, Humility and Humanity in the Making of a City! is an exhibition that mixes Robideau’s newest and oldest photographs of moments, milestones and monuments in Vancouver, tracing the character of the city and its residents during the last 40 years of non-stop growth. The work reflects upon the quality of life in Vancouver, the value of heritage, the economic engine of development, homelessness and the voice of the people. Robideau’s holographic satirical text charts history while critiquing the forces of government and commerce that have had a hand in shaping our urban environment. Participants in the roundtable include Audrey Siegl, Wendy Pedersen, Lorna Brown, Eugene McCann, Jeff Derksen, Henri Robideau and Clint Burnham. The event will be facilitated by Clint Burnham and is free to the public. AUDREY SIEGL (sχłemtəna:t in her ancestral name) is a Musqueam activist. She ran as a candidate for Vancouver city council for COPE in the November, 2014 municipal elections, and was active in supporting the Oppenheimer Park tent city. She lives on traditional Musqueam territory at the mouth of the Fraser River and works with the language and cultural department to revitalize the hən̓q̓əmin̓language. Siegl was also active in the Idle No More movement and in organizing the protection of the c̓əsnaʔəm (Marpole Midden) in 2012. WENDY PEDERSEN is a well-known community organizer who has lived in the Downtown Eastside for more than twenty years. Formerly involved in the Carnegie Community Action Project, she has been part of protests and organizing of residents around the Pidgin restaurant, the Chinatown Height restrictions, DTES gentrification, the Downtown Eastside Local Area Plan (DLAP), and in support of the Oppenheimer Park tent city. LORNA BROWN is a Vancouver artist and curator who has been producing work for the past 30 years. Active in the Association for Non-Commercial Culture in the 1980s and ‘90s, she was curator of Artspeak from 1999 to 2004. Her curatorial projects include Set Project, a series of exhibitions, performances, and events focusing on rehearsal and re-enactment in contemporary culture, and she was the project curator for Group Search: art in the library, a series of site-specific artists’ projects in the spaces and systems of the Vancouver Public Library (2006-2008). Brown’s art has been exhibited and collected locally and nationally, and since 2009 she has been on the board of Other Sights, a public art initiative, for whom she co-curated (with Clint Burnham) the Digital Natives project in 2011. EUGENE MCCANN is an associate professor in the Geography Department at SFU. His research interests focus on urban drug policy, urban policy mobilities, urban development and urban politics, and the relationships between urbanization and globalization. Recent and forthcoming publications include Urban Geography: A Critical Introduction (co-ed. with Jonas, A. E. G., & Thomas, M, Wiley-Blackwell), and, with Miewald, C., “Foodscapes and the Geographies of Poverty: Sustenance, Strategy, and Politics in an Urban Neighborhood” (Antipode, Vol 46, Issue 2). JEFF DERKSEN is an associate professor in the English Department at SFU. His areas of special interest are national cultures and the role of the state in the era of globalization; cultural imperialism and the politics of aesthetics; the poetry and poetics of globalized cities; the emergent global cultural front; culture and gentrification in global-urban spaces; architecture and urbanism; cultural poetics, cultural studies, and cultural geography. Recent publications include The Vestiges (Talonbooks) and After Euphoria (JRP Ringier/ECUAD). HENRI ROBIDEAU (henrirobideau.com) is a Vancouver artist and photographer who has been exhibiting locally, nationally, and internationally since 1970. His work has appeared in group and solo exhibitions in Vancouver, Comox, Kelowna, Quebec, York (UK), Washington, Paris, and Mexico City, and is in collections in Houston (Museum of Fine Arts), Ottawa (National Gallery), Seattle (Seattle Art Commission), Surrey (Surrey Art Gallery), Vancouver (Vancouver Art Gallery), and the Canadian Museum of Contemporary Photography, among others. CLINT BURNHAM teaches in the English Department at Simon Fraser University and has written the catalogue essay “Henri Robideau: the Photography of Dispossession,” which accompanies this exhibition. He is presently writing books on Slavoj Žižek and digital culture and on Fredric Jameson and Wolf of Wall Street. His essays on art have recently been published by the Kunsthalle Wien and on momus.ca. In the winter of 2014-15 he completed a residency with the Urban Subjects collective in Vienna. Tickets: $50 | Purchase Tickets here. You are cordially invited to grunt gallery’s “An Evening in the Archive with Henri Robideau,” a tribute to Henri’s work as a photographer over the past 45 years with special emphasis on his focus on history and the archive. Our fundraising tribute and dinner will coincide with and celebrate Henri’s upcoming exhibition, Eraser Street – Hubris, Humility and Humanity in the Making of a City!, running from April 9 to May 16. Marian Penner Bancroft will speak about Henri’s contributions, as an artist, to Vancouver. Please join us for this special dinner where a selection of digitized videos from our archives, produced for our 30th anniversary, will also be screened. Over the past five years, grunt gallery has focused on developing its archive and archival projects such as Robideau’s Eraser Street and the recent MAINSTREETERS – Taking Advantage, 1972 – 1982. 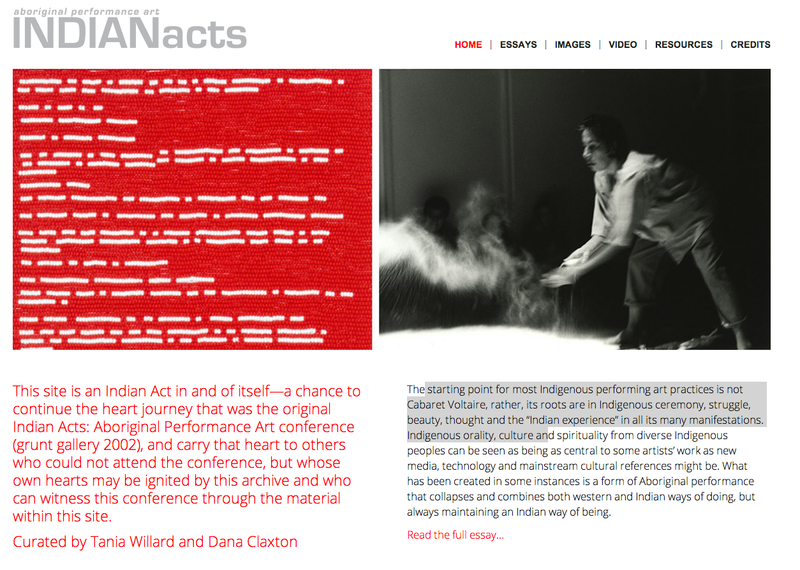 Since 2010, our special initiative—“Activating the Archives”—has released archival materials in the context of new curatorial projects, commissions, and scholarship, working to create sites such as Ruins in Process–Vancouver Art in the 60’s (2009); ATA – Activating the Archive (2012); Ghostkeeper (2012), celebrating the digital and performance work of Ahasiw Maskegon Iskwew; and Background/ThisPlace (2013). This fundraiser will focus on grunt gallery’s archival activities and the importance of producing work based in or around archival research. “An Evening in the Archive with Henri Robideau” is the first of several events highlighting our archive—and other archives—celebrating the work being produced by artists engaged with archives throughout the city. There will be opportunities to donate to specific programs and projects related to our archive. We look forward to telling you about our upcoming initiatives. grunt’s Archivist, Dan Pon, will be available to present a tour of the archive and share some of his recent initiatives. in Canada. We work hard to maintain industry standards, create a community, fight for copyright protection, and much more. Our work helps all the professionals in our industry. As a professional association, CAPIC’s mission is to promote quality and creativity as well as good business practices. CAPIC continues it’s efforts to support image creators through the creation of resources such as fee schedules and business practice surveys which are designed as a necessary reference for any Illustrator or Photographer getting started in the Industry. 10, 11, 12. please enter through the grunt gallery next door. This exhibition coincides with Eraser Street by Henri Robideau at grunt gallery. Written by David McLeish, posted on Vancouver Art Review. Finding the right way to discuss the show currently on at Satellite Gallery, “Mainstreeters: Taking Advantage 1972-1982” has been difficult. I’ve opted to split my review into two parts, the first part dealing with individual works, the second part offering broader reflections. It seemed reasonable to devote two reviews to this show, as it is clearly a major, multi-party undertaking whose contents require and deserve sustained engagement. Still, this review is much longer than I intended. First, some background. 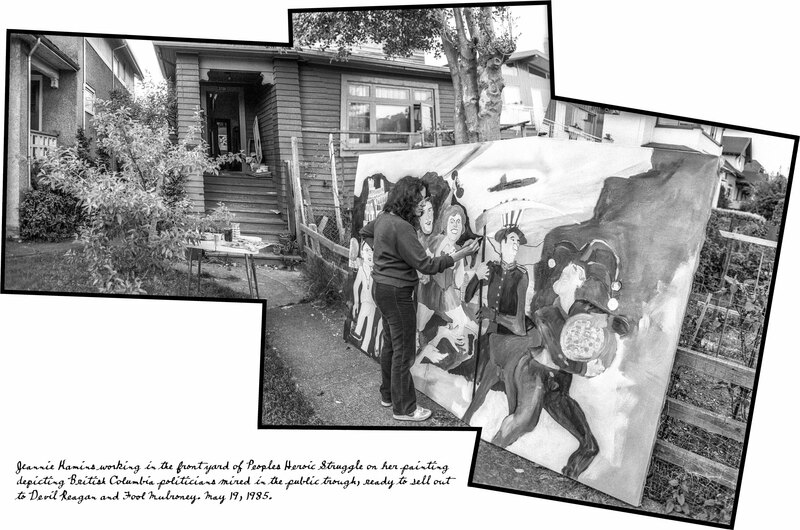 The Mainstreeters (Kenneth Fletcher, Deborah Fong, Carol Hackett, Marlene MacGregor, Annastacia McDonald, Charles Rea, Jeanette Reinhardt and Paul Wong) were a self-described “art gang” who grew up around Main Street in Vancouver’s Mount Pleasant neighbourhood. They became friends in high school and, during the decade covered by the exhibit, they were active participants in Vancouver’s art scene. They worked mainly in video and performance. They also led art workshops, hosted “drag balls,” and dabbled in fashion modeling. Paul Wong and Charles Rea went on to have solo careers as artists, while other members pursued other paths.